Though men comprise about 50 percent of the population, they comprised only 1 percent of nurses in 1960, 4.1 percent in 1980, 7.6 percent in 2000, and about 10 percent in the United States today. Is there a reason for this significant discrepancy? Has it always been this way? When I completed my master’s thesis on the topic of men in nursing, I discovered things in the literature that was not widely documented in most nursing textbooks. I look forward to sharing what I discovered. Did you know that before the modern era of nursing that Nightingale began in the 1850s, men were caregivers throughout ancient recorded history? In ancient Rome, nursing care was provided to wounded soldiers in military hospitals by male nurses called “nosocomi (1).” They must not have done their job very well, because there is something named after their legacy, nosocomial or hospital-acquired infections! Men were also the predominant caregivers of patients in the public settings in ancient Greece when Hippocrates founded the modern era of medicine in the fourth century BC. Is it just a coincidence that Jesus used a male as a caregiver when he told the parable of the Good Samaritan who provided lifesaving treatment to a wounded person found in a ditch? The early Christian church had male deacons who were responsible for ministering and caring for those who were ill (2). In early Christian Greece and Rome, men in the monastic movement, as well as the military knight orders, were responsible for nursing care of the sick, wounded, and dying as early as the third century up until the sixteenth century when monastery orders were dissolved. Many men risked and even lost their lives caring for victims of the plague (2). 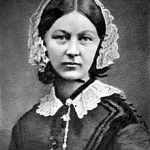 When Nightingale began the modern error of nursing in the 1850s, she decided to establish nursing as a profession available for women only. Men were excluded from her three-year schools of nursing (5). Men were welcome only where their physical strength was needed. In the 1850s this was the insane asylums before antipsychotics. This is the primary reason why men have been associated with caring for the mentally ill in the psychiatric setting. To provide care in the asylums, Men received an inferior education compared to women in Nightingale’s schools of nursing (3). Men were not allowed to participate in general hospital practice. If a man wanted to expand his learning and training for example in maternal-child nursing, he was perceived as a pervert and threatened with expulsion (2). Unfortunately, this assumption of being a pervert for men who choose to practice in the maternal setting still lingers today according to a male colleague of mine who was a former OB nurse. 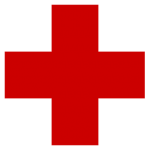 The male monastic order of the Camellians founded by St. Camillus de Lellis, who served humanity by caring for the sick and dying in Rome in the fifteenth century, had a unique symbol that identified his order of male caregivers, the red cross, that remains the universal symbol of healthcare today (1). 1901-1955: Men were not allowed to serve as nurses in the military though they were qualified (2). It was only after the Korean War that this policy was lifted. 2004: A qualified OB nurse was not allowed to work in the maternal hospital unit because the hospital had a formal policy that excluded men as nurses in this setting. The Supreme Court ultimately overruled this policy. Homosexual/effeminate stereotypes…remember GAYlord Focker from the movie “Meet the Parents”? (see YouTube player below for this and other examples of ongoing gender stereotypes in the media). This stereotype influences why many men in nursing education are a second career or older students. The name matters. In one study of 100 male high school students, the number of male students who would consider nursing as a career choice increased from six to twenty-one when nurse/nursing was renamed the gender-neutral “registered clinician” (3). Little to no history of men in nursing in textbooks. The history of men in nursing that I presented earlier are from articles in the literature. In most fundamental nursing textbooks, the history of nursing begins with Nightingale with no context of the legacy and contributions of male caregivers in the past. History matters. The heritage that men have had provides an important context for your male students today. Men care differently. Men are often perceived as not being able to empathize or provide care like a woman. The truth is men do care, but they communicate differently. One unique gender distinction is that men communicate caring by using humor with their patients. Watch your male students carefully. You will see many use this approach instead of touch, which many women tend to use naturally while providing care. No guidance on intimate touch. 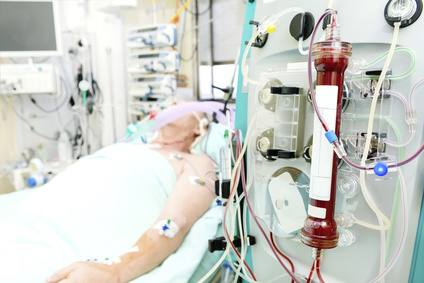 Male students and nurses recognize they are extremely vulnerable when intimate touch that is required when providing peri care or inserting a urinary catheter on a woman. This concern is well documented in the nursing literature but is not addressed in most nursing fundamental textbooks. Empower your male students to do this confidently by being professional. Teach them to ask permission to provide intimate cares and ensure privacy as much as possible. Lack of role models/feelings of isolation/loneliness (4). Because men are a current minority in the profession and as students, they tend to feel isolated, lonely and in some programs experience a lack of support. This leads to ambivalence. As a result, men have one of the highest failure to complete rates of all demographics in nursing education. Communicate the legacy of men as caregivers and the history of nursing that goes back over 2000 years. Nightingale was only the beginning of modern nursing practice. Recognize the unique ways that men communicate and care differently. Celebrate this diversity in your program. Acquaint yourself with the literature on men and providing intimate touch. Utilize the suggestions in the nursing literature to provide practical strategies for men to navigate this potential minefield. Be intentional. Support your male students; check in from time to time to see how they are doing. Male students need a male role model. If you have a male clinical adjunct or a male nurse on the floor as a care provider, your male students need to be with that adjunct or care provider if possible. To empower educators with a greater understanding of what has been briefly shared on this webpage, I encourage you to check out the following resources that will equip you to implement change where it is needed and provide guidance and support to male students. Website: American Assembly for Men in Nursing: http://aamn.org/: The primary professional nursing organization that supports men in nursing. They have chapters in hospitals and nursing programs across the country. This organization is inclusionary and values both men and women as members. Be sure to check it out! O’Lynn, C.E., & Tranbarger, R.E. (2007). Men in nursing: History, challenges, and opportunities, New York, NY: Springer Publishing Company. Anthony, A.S. (2004). Gender bias and discrimination in nursing education: Can we change it?, Nurse Educator, 29, 121-125. Evans, J. (2004). Men nurses: A historical and feminist perspective, Journal of Advanced Nursing, 47, 321-328. Roth, J.E., & Coleman, C.L. (2008). Perceived and real barriers for men entering nursing: Implications for gender diversity, Journal of Cultural Diversity, 15(3), 148-152. Kleinman, C.S. (2004). Understanding and capitalizing on men’s advantages in nursing, Journal of Nursing Administration, 34(2), 78-82.